Here in the South we have some great mythological creatures: Mothman, The Skunk Ape, and the Rougarou. 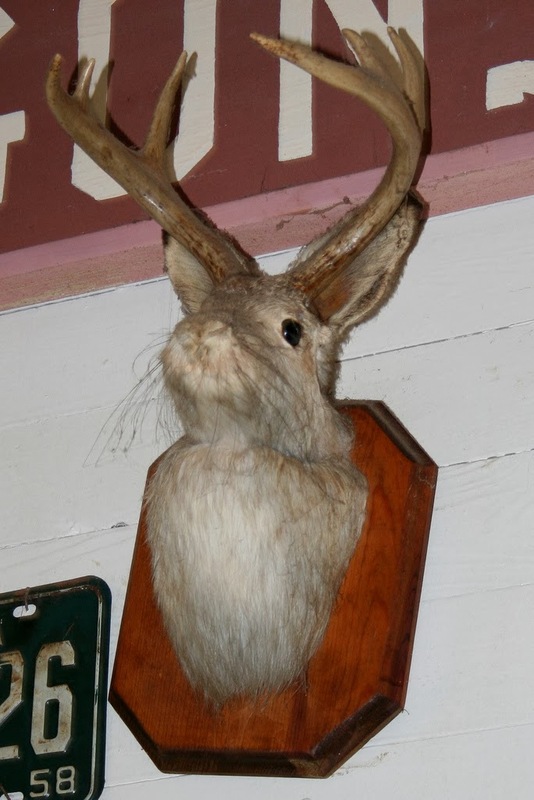 However, there is one beast that the South cannot cannot claim: The Jackalope. 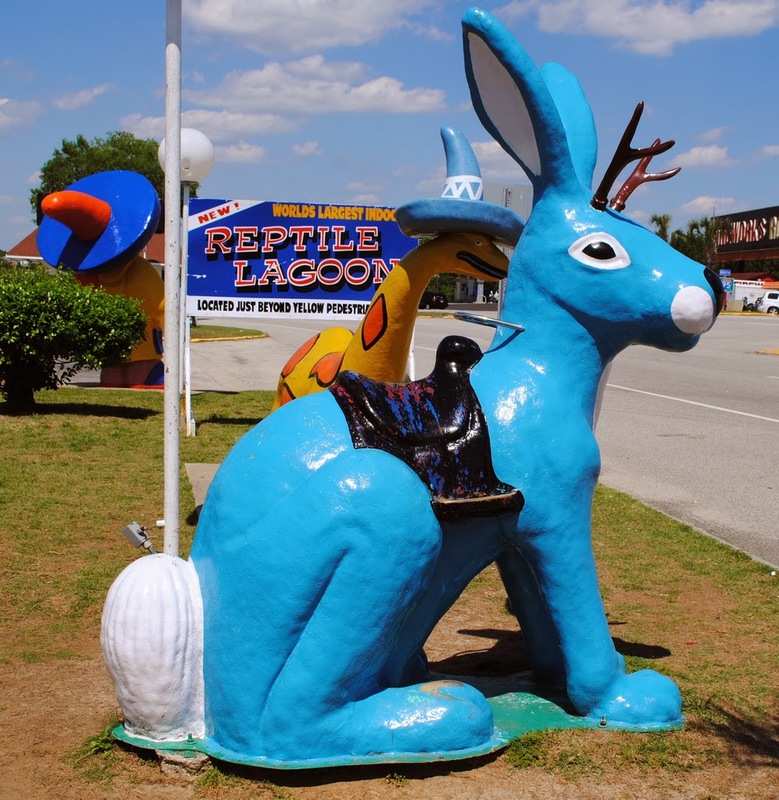 The Jackalope is generally associated with states in the western United States, with Douglas, WY being the official capital. 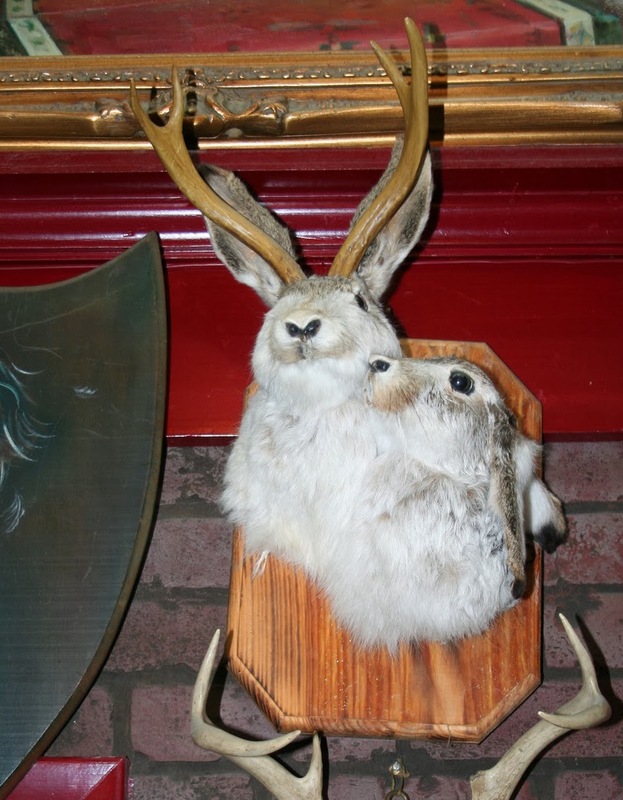 The Jackalope is a true American tradition and the original taxidermy gaffe or "fake". 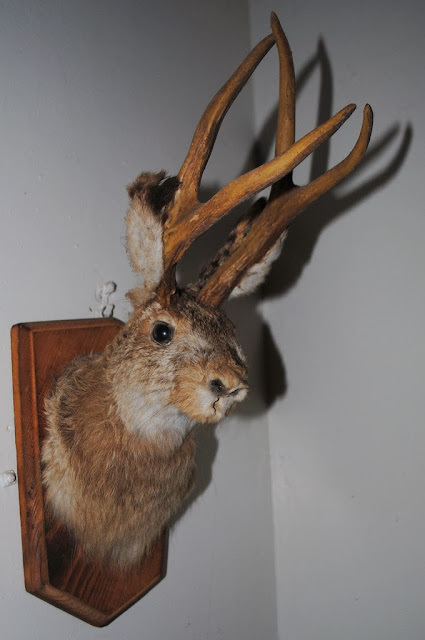 A man named Douglas Herrick is considered the father of the Jackalope, as he put deer antlers on a taxidermist rabbit as a lark and created thunder in a bottle. Americans love the Jackalope. For some reason the antlers look like they "belong" on the rabbit. 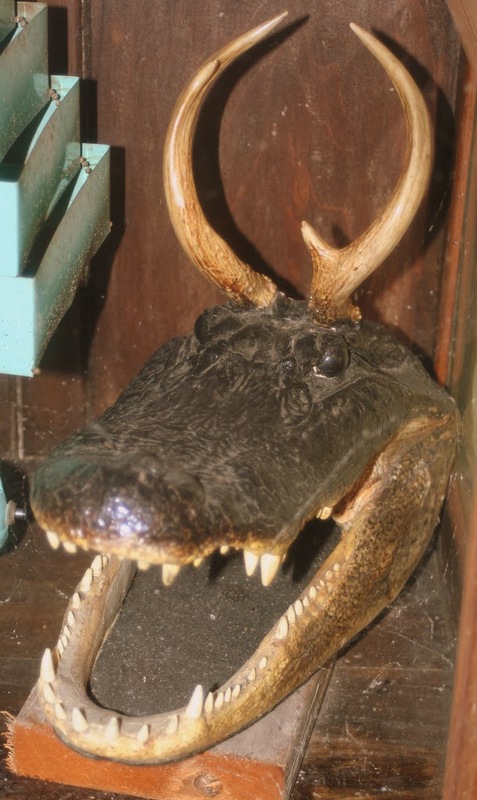 You could put deer antlers on anything else and it would not have the same impact. It would just look ridiculously unnatural. Something about the Jackalope mix that just works. Its equal parts mysterious and silly. Now when you create an imaginary animal there is a huge opportunity to fill in the back story. 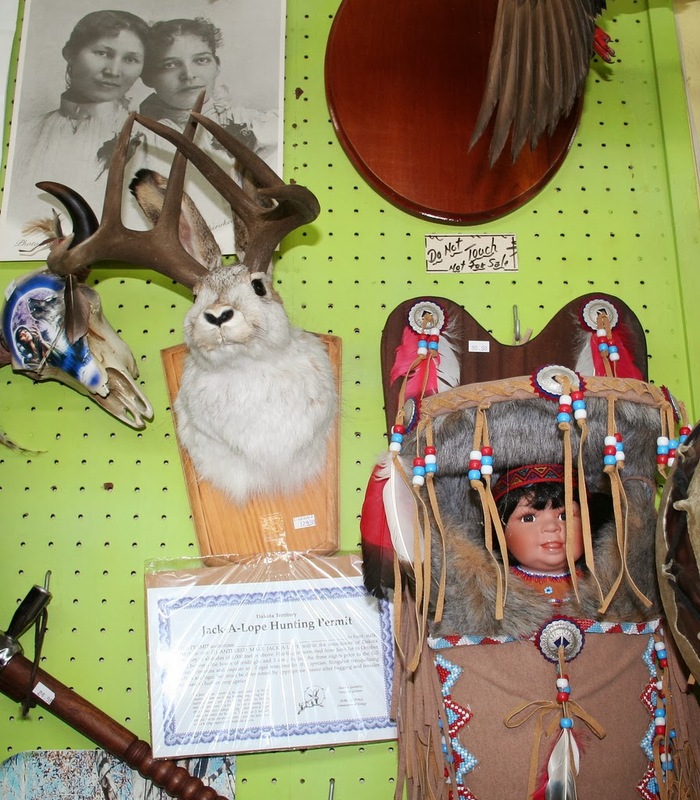 Over the years people have added bits to the Jackalope lore. 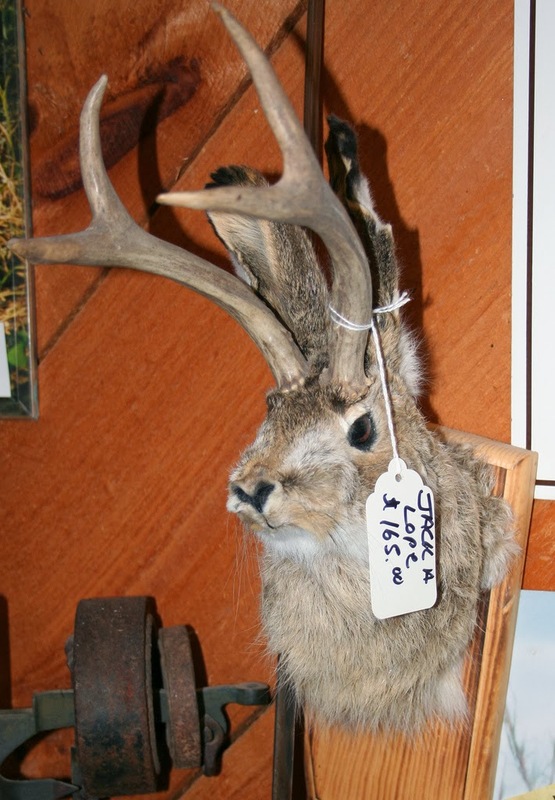 Jacklopes can be produced by cross breeding and Jack rabbit and an antelope. Jackalopes can perfectly imitate the English language, which they use to trick humans. Jackalope milk is an aphrodisiac and cures baldness. Jackalopes sleep on their backs and can be milked while sleeping. Jackalopes can only mate when lighting flashes. Jackalopes love to drink whiskey, luckily when they are drunk they will mistakenly try to catch bullets in their teeth, making it much easier to kill them. Even though the Jackalope is not native to The South, that does not stop fine Southern establishments from proudly displaying them. 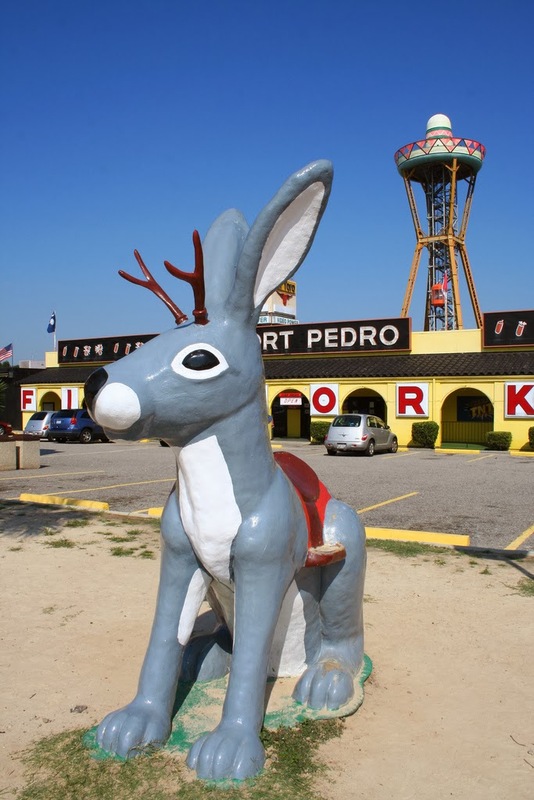 On of the more notable Jackalopes in The South is the massive Fiberglass Jackalope that can be found at the tourist mecca South of the Border. Curiously, shortly after this picture was taken someone decided to paint him blue. 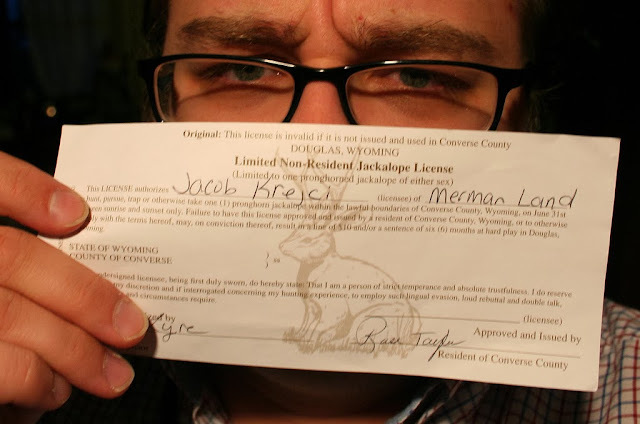 Also, thank to the kindness of others, thanks to my friend Mary I am permitted to hunt Jackalopes in Douglas, WY. The only restriction is that it is only valid on June 31st.